We are very pleased to announce that the new ‘Travel Mahjong City’ project has achieved the Judge Award of Hong Kong Smart Design Awards 2018! 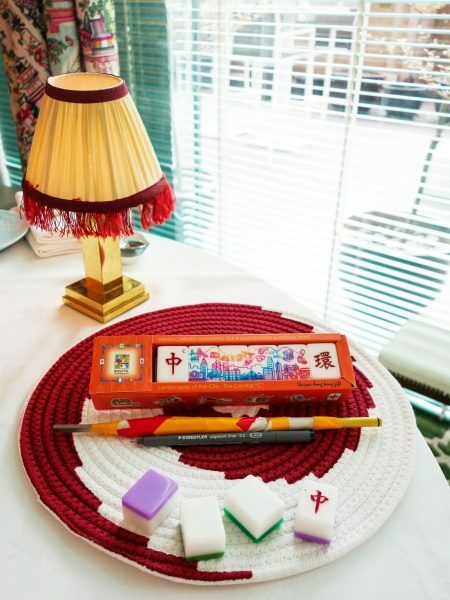 “Travel Mahjong City” has preserved traditional Hong Kong hand-carved mahjong tile skill while presenting a new generation of talents as a unique Hong Kong gift. 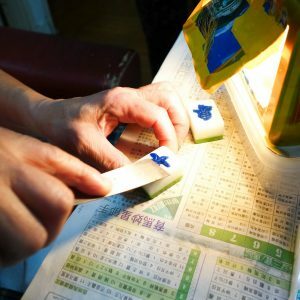 Mahjong, a social game also known as “Breaking the Walls”, has a long history in Chinese culture bringing much happiness to family gathering. 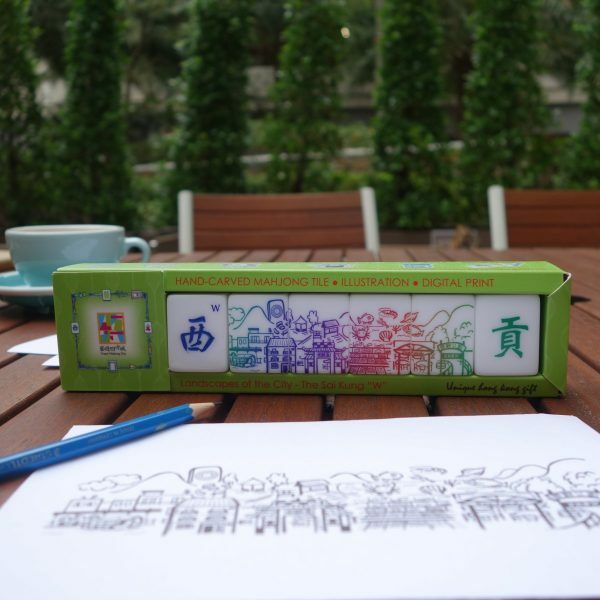 We aim to combine authentic Hong Kong Mahjong hand-carved tiles and creative illustration with advanced digital printing technology to feature the fascinating local culture and enchanting landscapes of the city. 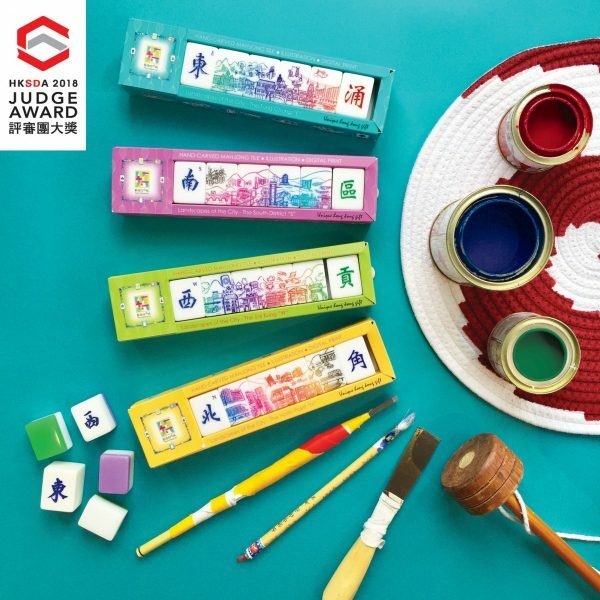 Together with local illustrator Karen, who witnessed the up and down of the Mahjong tile industry through her family’s business since 1950s, a new brand of Mahjong tiles called ‘Travel Mahjong City’ is born in Hong Kong. 5 individual tile packs (North, East, South, West, Central) and 1 premium gift set is available. 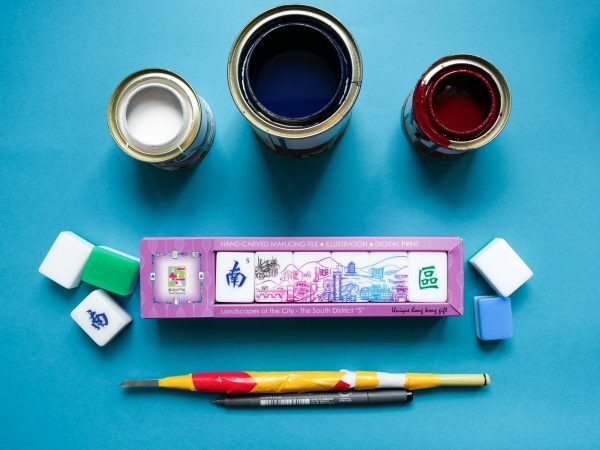 They combine the authentic and most traditional Hong Kong hand-carved Mahjong tile technique with today’s advanced inkjet printing technology, as well as featuring the enchanting attractions of the city depicted by the Hong Kong illustrator. 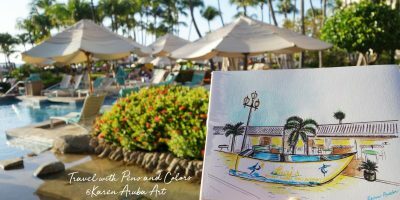 Integrating both creative elements and craftsmanship together : the blending of cultures from different generations. As a meaningful cultural and creative product, the new design serves as a bridge between traditional culture and modern life. 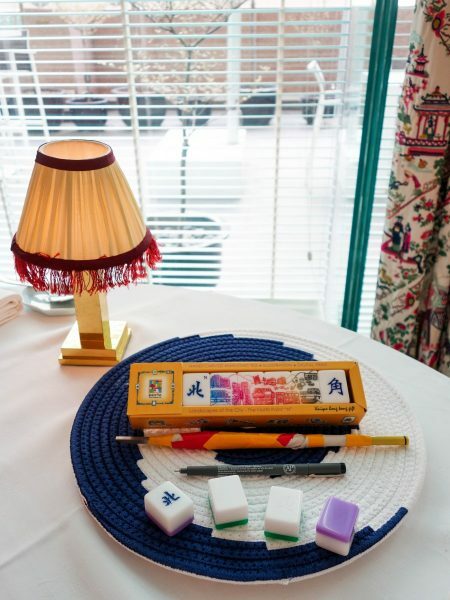 It not only inherits the skills of the old generation in mahjong tile craftsmanship, but also creates the originality of a Hong Kong brand. 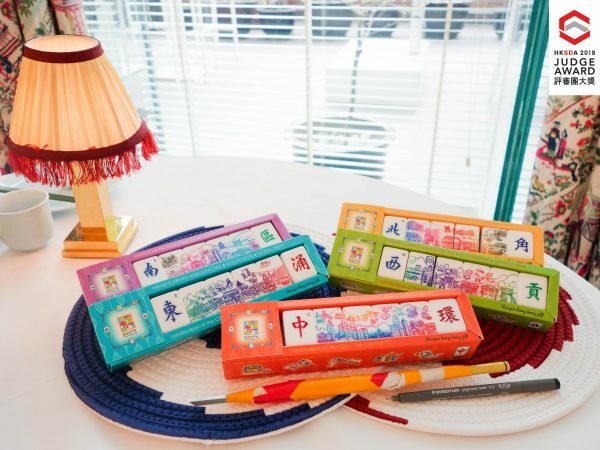 It embraces Hong Kong’s memories by combining the father and daughter of different talents and skills on the mahjong tiles, and to make the products even more meaningful with intimate value. The Tung Chung “E” pack depicts the districts covering the Hong Kong International Airport, Hong Kong Disneyland, Sunny Bay, Tian Tan Buddha (Ngong Ping), Tai O Stilt Houses and Hong Kong Island East Residential Area. The South District “S” pack depicts the attractions of the south of Hong Kong like Ocean Park, Beaches, Jumbo Kingdom Boat Restaurant, Typhoon Shelters, Yacht Clubs and Tai Tam Reservoir. The Sai Kung “W” pack depicts popular areas like seafood restaurants at a pier, the countryside for refreshments and the landscape of unbroken mountains. 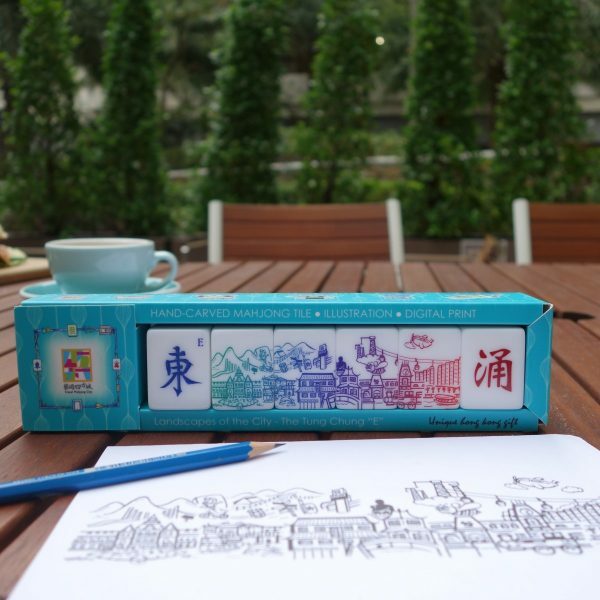 The North Point “N” pack depicts the attractions of this old district which is paradise in the eyes of photographers for local Chinese Opera, Mahjong playing centers, street food, nostalgic streets and old residential housing with many trams travelling. The Central “C” pack depicts the attractions of Central as a famous finance center around the world, as well as landmarks from stylish buildings and the Peak to the night scene over Victoria Harbour, all of which makes Hong Kong famous. 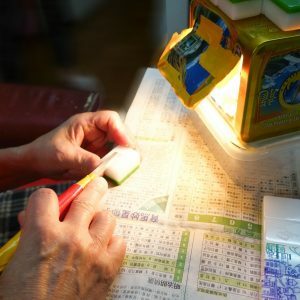 • Illustrations on the packaging design depict the production tools and manufacturing processes of mahjong tiles, which narrate an intimate story of the mahjong industry behind the scenes. 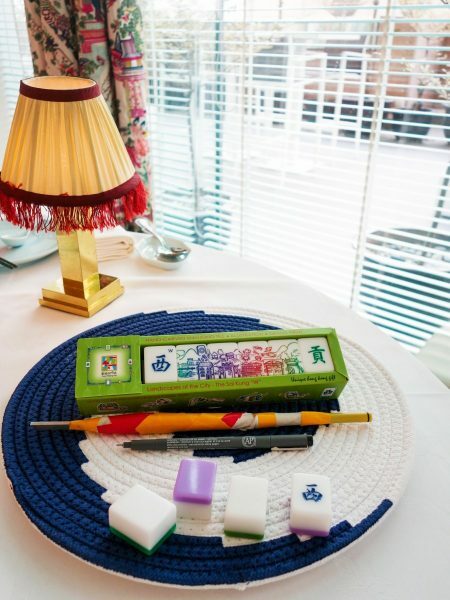 Preserve Hong Kong craftsmanship – “Travel Mahjong City” is a special creative Hong Kong cultural products collaborated by 3 designers, Connie Siu, Karen Cheung, Maggie Cheung. 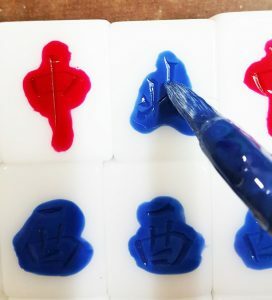 They are unique Hong Kong signature gifts!